Tool Pros is a leading supplier of industry leading equipment, assembled from our factories in various parts of the world. We aim to provide products that are not only going to make the whole industrial tools sector easier but also cost effective and quick. 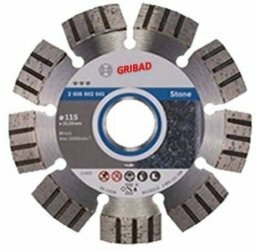 we specialize in low cost and high efficiency industrial tools with products like the gribad disc and others. You name it we either got it or will provide it for you or we will make sure we source it for you and we will make sure we provide an industry standards guaranteed product for you. At Tool Pros Industrial solutions (Pty)Ltd, we are the leading importers of new and first class used tools, industrial machinery and mining equipment. Visit us today or place your online orders for the best unbeatable prices. For more information feel free to contact us on +27 41 818 1473.